The Sweater I was looking for. 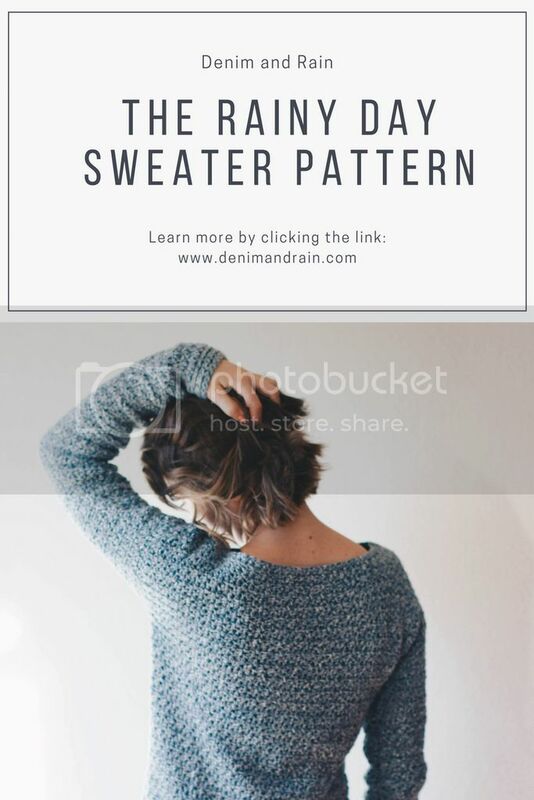 I searched and searched to find that sweater pattern that could use my desired yarn, be a quick and easy crochet pattern. I saw a lot, just non that I loved. I have always made my own patterns for everything I have made (minus a knit pair of socks, but you don't go writing a pattern for knit socks when you've never made any before), so I decided I was going to try to make my own pattern. I love denim (it's in my business name if that doesn't tell you), I have a lot of it in my wardrobe, pants, jackets, shirts. I kinda thought it would be fun to have a denim sweater. Like, how many people can say, "I have a jean sweater"?! So of course, loving denim I knew all about the billie jean yarn from Wool and the Gang and I bought it for my sweater. Yeah... I ripped it out a few times and ran my hands through my hair about 100 too many times. I wanted a textures stitch that wasn't "flowery" looking, I wanted it to almost look like an enlarged weaving of jeans. I played for quite a while with some stitches and finally came up with the one! Which I call the rainy day stitch. Anyways! It took me longer than I planned to get the pattern out to everyone, but I wanted it to be just right and I didn't want to rush it. So here I am with a beautiful sweater, one just like what I was looking for, and a pattern I am proud of.